This listing includes: one monarch chrysalis bead and two monarch butterfly wing disk beads. Each set is slightly different. The pattern on the wings are created by laying colors of clay to form the design. 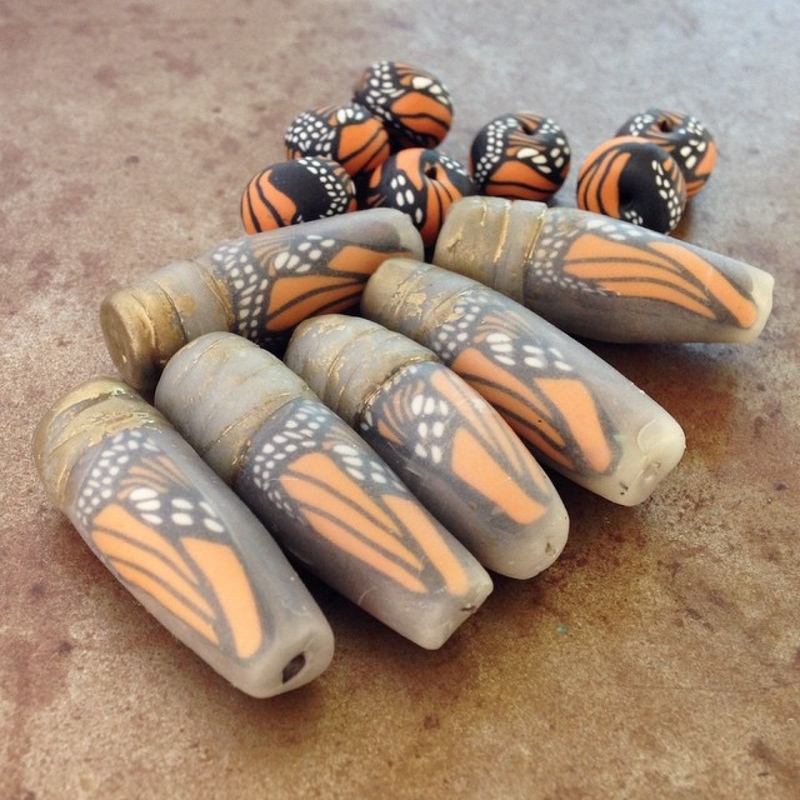 The chrysalis beads measure 1 1/4" long by 3/8" wide. The disk beads are 10-12mm wide.